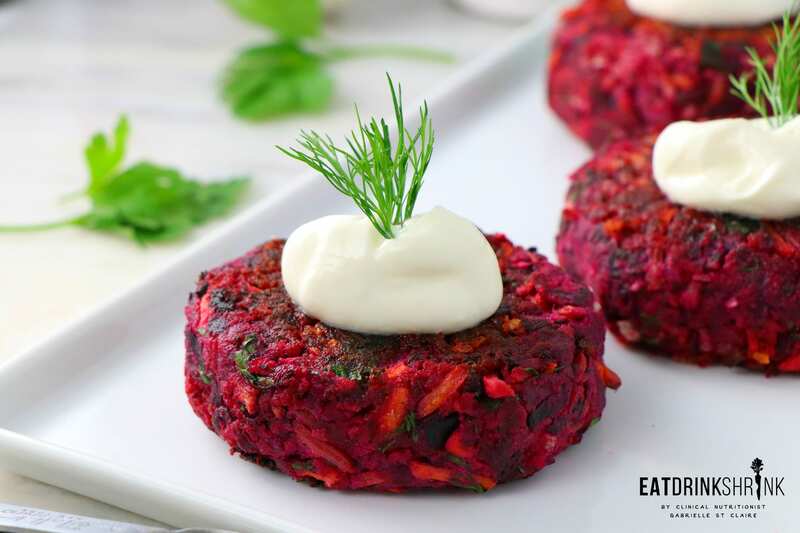 Vegan Beet and Carrot Fritters - Eat. Drink. Shrink. 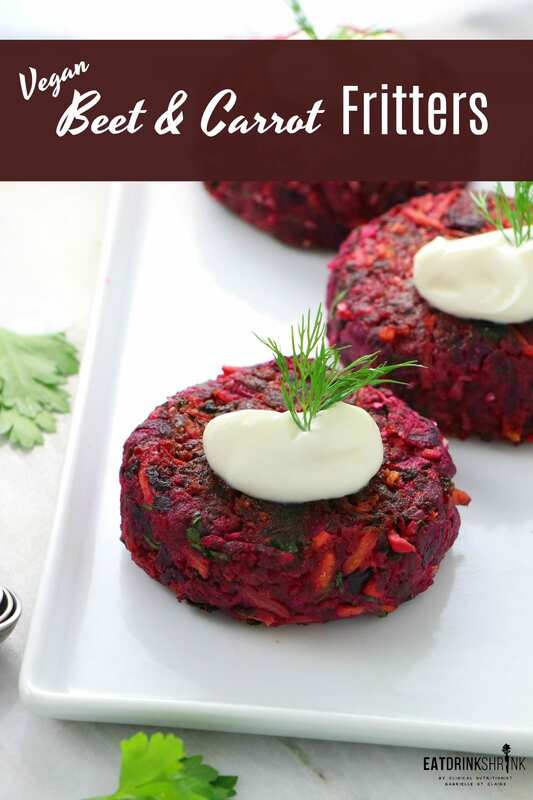 I don’t know about you, but I love all things beets and fritters! 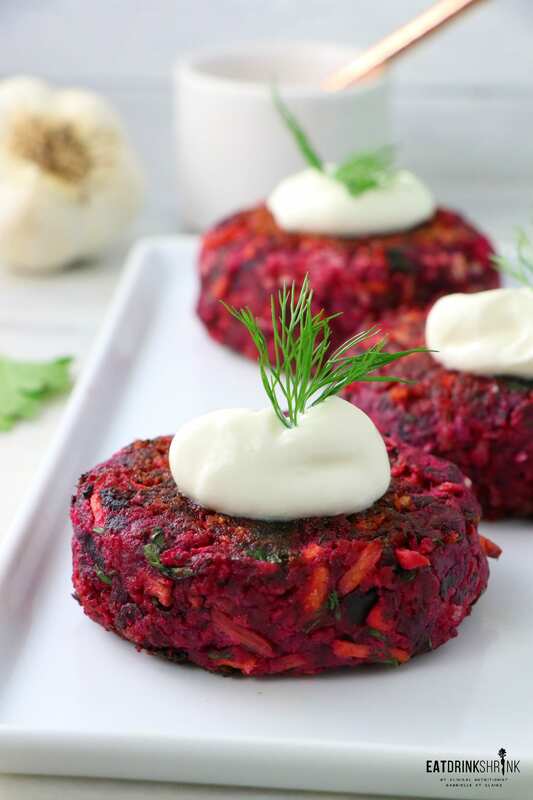 Beets pack nutrients, a natural sweetness, and of course a gorgeous hue. Fritters on the other hand are this magical concept that has never ending combinations to keep your tastebuds on their toes. What’s fab about fritters ss that while they typically utilize egg as a binder, you can throw in a vegan egg without any issues. 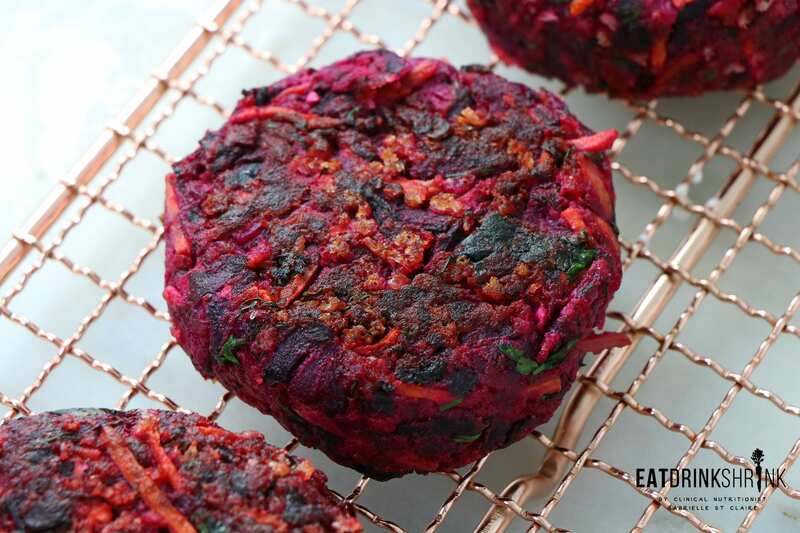 Fritters are a blank canvas so you can pair countless veggies and spices together and create the perf nutrient dense side dish or simply throw on a bun and make a slider if you’re craving some carbs. 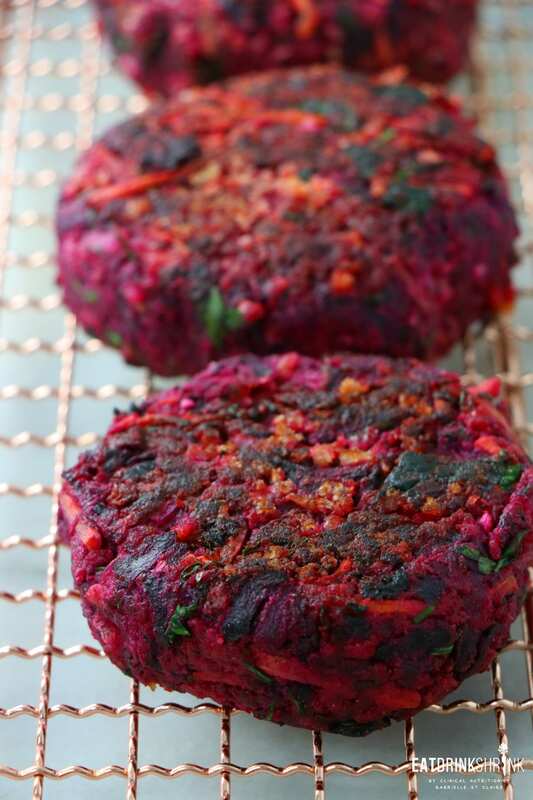 What’s fab about this Beet & Carrot Fritter, is everything! It’s quick, easy, affordable, nutrient packed, has a natural sweetness due to the natural sugar in both carrots and beets, perf for any season, have aesthetic appeal, can be thrown on bread to be more filling, can be made into smaller portions for more of a small bite appetizer, and non vegan approved! 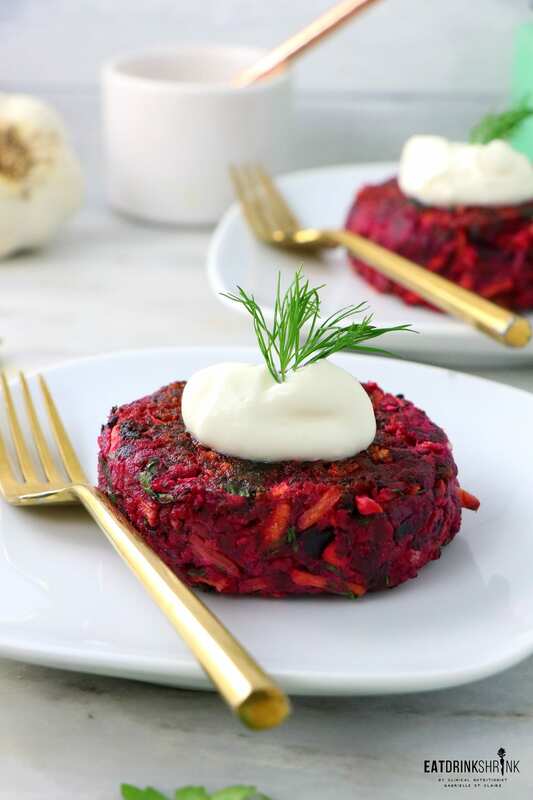 If you love all things beets and or fritters, you have to try my recipe for vegan Beet Carrot Fritters! Heat 1/2 tablespoon of oil in a large nonstick skillet and gently sauté the onion until it is soft but not browned. Add the garlic and cook for another two minutes. Set aside in large bowl. 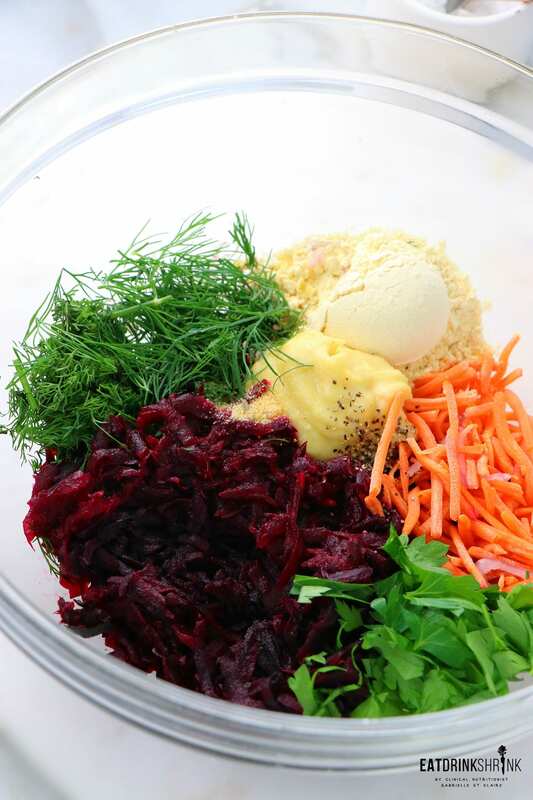 Coarsely shred the boiled carrots and beets with a grater. Throw in the bowl. You can skip boiling the carrots if you don't mind texture, however I prefer a soft texture! Combine the almond milk with the egg powder and add to the bowl with the remaining ingredients and combine well. Make the sauce by mixing all the ingredients together. Heat 1 tablespoon of oil in a skillet. Cook fritter over medium heat until a crust forms on one side, then carefully turn each over and cook on the other side again until a crust forms. After the crust forms, reduce the heat and cook for four to five minutes on each side, or until the vegetables are cooked through.